In a city of spectacular interior spaces, perhaps the most iconic is the Great Hall of the Chicago Union Station. Built in 1925, the light-filled waiting area is finally getting the renovation it deserves. Construction is now underway on the $22 million project that will completely refurbish the 219-foot-long skylight and repair plaster throughout. Union Station was originally designed by Daniel Burnham, but was completed by Graham, Anderson, Probst & White after Burnham’s death. The Beaux-Arts structure now serves both Amtrak and the regional commuter Metra trains. 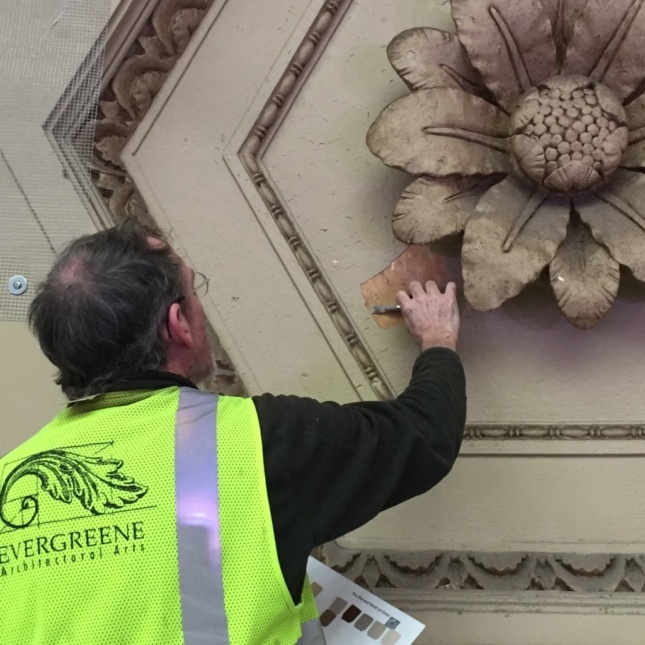 Over the past 90 years, the great hall has slowly degraded due to leaks in the epic skylight, but recent years have seen the beginning of its revitalization. In 2016, the iconic marble stairs made famous in the climatic shootout scene in The Untouchables were completely renovated. Both the stair renovation and the current overhaul of the Great Hall are led by Chicago-based Goettsch Partners. When the staircase was being worked on, the area was closed off, much to the chagrin of tourists who came to see the site of the famous scene. To maintain movement through the Great Hall for this renovation, all the construction will be done without closing the space. Instead, decks will be suspended from the 115-foot-tall ceiling, negating the need for obtrusive scaffolding. 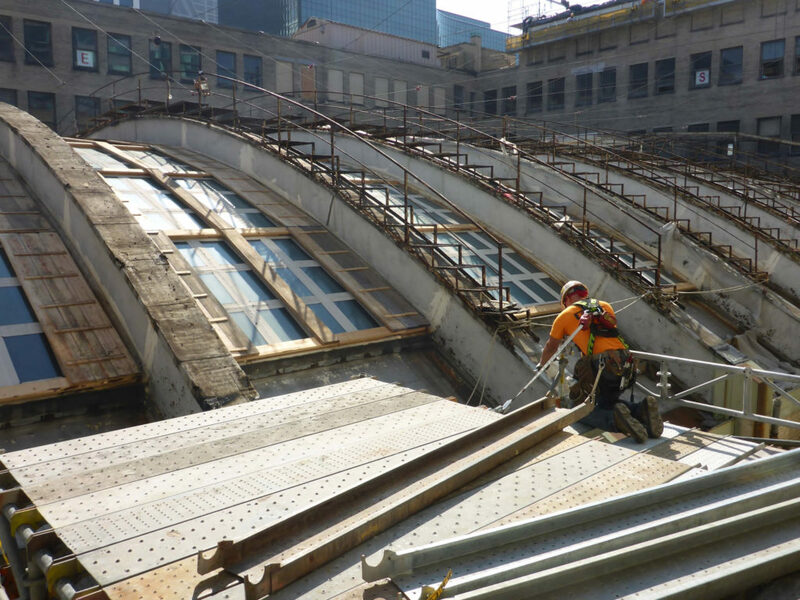 To address the skylight’s water problems, each of the 2,052 pieces of glass will be replaced and a new third layer of glass will be added above the entire opening. The new high-efficiency, fully transparent glass panes will replace the current wire-embedded glass, and the end result is expected to allow about 50 percent more light into the space. Once the significant water damage on the walls is repaired, the entire Great Hall will be repainted in its original color. This phase of Union Station’s renovation is being funded by Amtrak, who owns the building, and is expected to be completed in late 2018. By that time, we may also have more information about Goettsch Partners’ ambitious plans to redevelop the station and its surroundings, including the proposal to add two towers to the building’s roof.